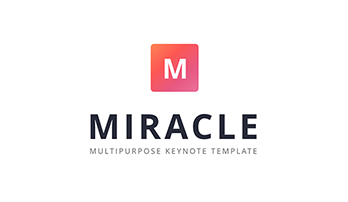 MiConcept Keynote Template - Free Download Now! What is the MiConcept Keynote template for? If you intend to attract investors for some of your projects, then an excellent presentation is what you need. The few slides you show to investors can greatly affect their decision. Such a presentation not only tells about the features of the project, but also makes it clear why money should be invested in your development. Presentation of your project in fact can be called a business card, which you give to a potential investor. Therefore, it is very important to think everything over and carefully prepare a qualitative informative presentation to create positive impression, because as you know, there is no second chance. To all this, we should add that a brief and capacious presentation is simply obliged to convey the essence of your idea, to seize listeners and to convince that your project deserves attention. 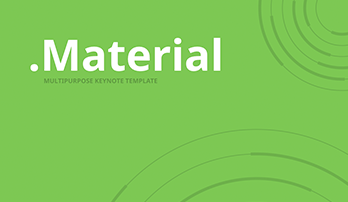 The MiConcept Keynote template is a ready-made template able to meet these requirements and help you in the creation of an excellent project. Such a presentation, unlike that created for clients, should not operate with emotions, but with figures. Facts and figures are your main weapon. Another feature: the fact that you have a high-quality and well-developed presentation in your possession proves you as a professional that perform work qualitatively and responsibly. 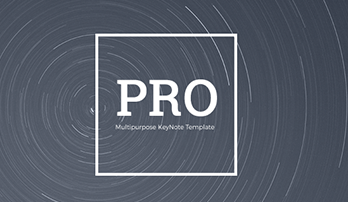 The template represents a set of 13 multipurpose premade slides equipped with all necessary elements and useful tools. We try to create the presentations that will be as useful as it is possible. Choosing this template, you get a range of possibilities, a unique assistant able to make you work quicker and more efficient. The template is professionally structured so you can describe the topic logically, present all facts and figures coherently. If you choose a ready-made template, you’re likely to avoid typical mistakes that other employees make while preparing projects on their own. High quality. If you deliver a speech, you have only one chance to catch the audience, get them interested in your product. A high-quality presentation increases your chances and support the image of a professional. You can be confident that the slides won’t lose their quality when demonstrating them on the projector or other devises. No visible defects, no blurred parts or pixels. You also can print the handouts without worries. This template is absolutely printable. Modern design. Design is a significant part of the project. It is the design that is able to make your presentation successful and memorable or ruin it. Therefore, our template has a minimalistic modern design appropriate for business and marketing meetings, conferences. Built-in tools. Edit size, shape and other vector elements in two clicks. A multipurpose template. Any type of business and marketing projects (various reports, proposals, ideas, analysis) can be presented using this template. Easy-to-use ready-made slides. Using this template, you’ll be able to create excellent presentations of high-quality in a few minutes. Simplify your work and save time with these template! Absolutely any user can easily learn the principles of work with these slides. Reputation and image. Choosing a premade template of high quality, you guarantee that the audience will be impressed with your professionalism and qualitative topic representation. You will stand out from the other speakers and attract the attention of all listeners. Free 247 support. Contact us if you have any difficulties with the template or questions. We’ll help you with pleasure.